Held at 10am and 4pm GMT so you can choose a time that suits you, this one hour webinar will save you countless hours in the future. 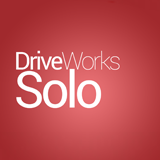 This webinar is a step by step guide to get you started with DriveWorks Solo. You will be taken through the quick and easy steps involved in automating your design process. You will pick up tips and tricks from a Certified DriveWorks Solo Applications Engineer and see examples of each lesson. Your questions will be answered throughout the webinar. The webinar will take place at 10am and 4pm GMT. Choose which session you would like to attend by using the drop down in the registration window. Sign up to join the webinar and see just how easy DriveWorks Solo is to use.